Solver HIS is an integrated web based Hospital Information System designed to manage the medical, administrative, financial aspects of a hospital and its service processing based on specific location. Solver Hospital Information System is a comprehensive Hospital Information System for managing the workflow processes across the healthcare enterprise. It is capable of both retrieving and disseminating patient specific data (clinical & financial).The main aim of Solver HIS is to achieve the better Patient Care & Safety. Since solver HIS is a web based system, it ensures a lower outlay and predictive spread of cost over time, and it can be accessed from anywhere and at any time from a simple browser. It is more responsive to the customer’s needs and the application itself always reflects the latest version. The System is developed in Microsoft Visual Studio with Microsoft SQL Server as backend database. Microsoft SQL database is capable of handling large volume of data. Front office module is the mirror of hospital, which reflects the functioning of the hospital being the first point of contact between the patient and hospital staff. In Solver the Front office module includes Appointments, Patient Registration, Billing etc. 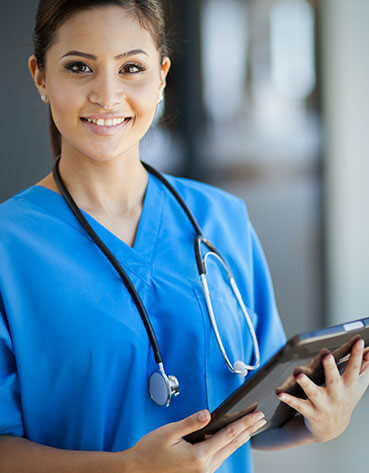 The patient information can be retrieved by using the power of fast patient searching module and the searching can be performed with any piece of information. The HIS helps the user to get information quickly and minimize the turnaround time for patient interaction processes. Clinic defined free consultation & follow-up. Effective location-wise scheduling of consultants makes proper utilization of physician time and reduces waiting time of patients. Different appointment views help the user to take appointments for the patients at requested time and can also provide a feedback with available timing or consultant availability. SMS and email alert will remind the users with their appointments and facilitates the clinic activity more engaged. As there is a concurrency between appointment block time and appointment diary, the frontline staffs will get an immediate notification in appointment diary with blocked timings. Location-wise Equipment scheduling linked with consultant and daily overview of equipment allocation. The patient information retrieval including visit enquiry can be performed by using patient enquiry module and the searching can be performed with location and patient Id. Various bill item details can be viewed by using Bill Item Enquiry module. The billing module of Solver Information Management System tracks all the patient records including medical records. It handles all types of billing of various service request for long-term care. The system support multiple payment modes and multicurrency and hence makes the system more scalable. As a result of tight integration with EMR module, the services to be rendered can be drawn with a single click and the user need not know anything about the billable services. The Doctor’s Desktop module is the entry point for doctors to the hospital management software. The Doctor’s Desktop – EMR module is a secure, real-time, point-of-care, patient-centric information resource for clinicians. It helps clinician's decision-making processes by providing access to patient health record information and by incorporating evidence-based decision support. It automates and streamlines the clinician's workflow, closing loops in communication and response that result in delays or gaps in care. This module includes new user creation and user role mapping. Various users with different roles can be added through user management module. Roles of the particular user can be mapped to any location. The dashboard in Solver Hospital Information System is a summary of key parameters values covering all areas of the hospital that are generally monitored by the top management on a regular basis. Reports are available with every module and total analysis report for the top management. All reports can be exported to excel, word, pdf etc.